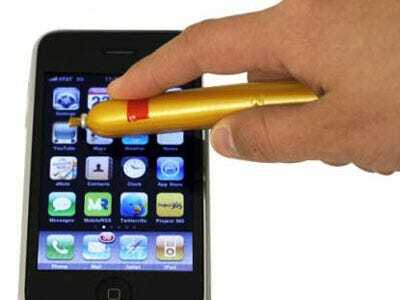 The Korean Sausage Stylus For The iPhone Now Available In The U.S.! Remember when Koreans were using sausages as a stylus for the iPhone this winter? CaseCrown, a company that sells iPhone cases, has acquired a large shipment of the Korean sausages. They are on sale for a limited time for only 99 cents (down from $3.99). So if you don’t mind carrying a mixture of dubious quality meat around in your pocket and live in a cold area, the iPhone Sausage Stylus may be just right for you! The sausage stylus is compatible with all iPhone and iPod touch models. Unfortunately, winter’s just about over. Maybe you can throw it in the freezer and use it next year?